Filipinos are terribly clever when it comes to inventing new uses for everyday ingredients. I am particularly fond of the use of liver in sauces and stews. Quite a few Filipino dishes call for liver or liver pâté as an ingredient, which not only imparts rich flavor but also acts as an elegant sauce thickener. Traditionally, canned liverwurst was the product of choice. However, this simple recipe far outweighs the taste and quality of a canned product and can be served in a number of ways. 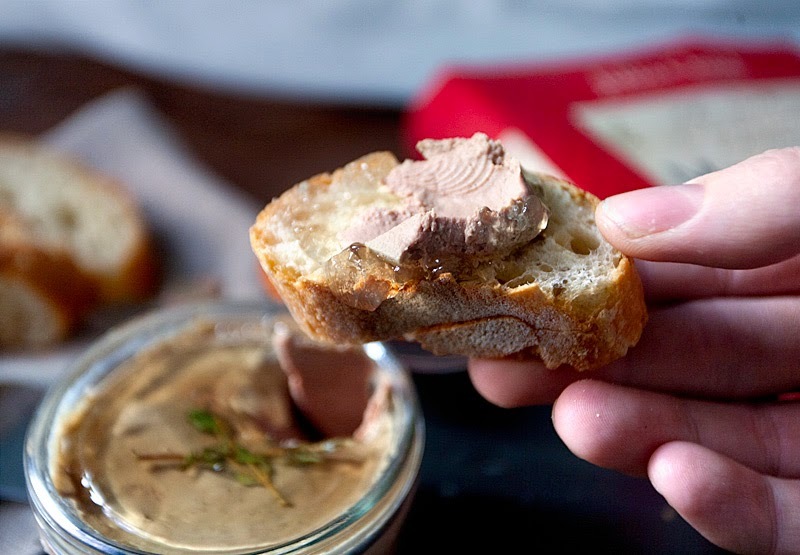 Alone, it is a delicious pâté served with your favorite crusty bread or sliced pears. And finally, if frozen and cut into small bouillon-sized blocks, it can be used as a flavoring or thickener in place of a traditional roux. You will be pleasantly surprised by the sultry depth that a little of this mousse will give your sauces and stews. 1. Melt the butter in a medium skillet over medium-high heat. Add the onion and cook, stirring occasionally, for 5 to 7 minutes until the onion turns golden brown. Add the garlic, dried thyme, and ground red pepper and cook another 3 minutes. 2. Deglaze the pan with the sherry. Using a wooden spoon, scrape any of the caramelized onion bits off the bot- tom and sides of the pan into the sauce. 3. Add the livers, soy sauce, and ½ cup heavy cream. Reduce the heat to a simmer for 7 to 10 minutes until the mixture is almost dry and the livers are tender and fully cooked. 4. Remove the pan from the heat and place liver mixture in a food processor. Process the liver well until completely smooth. Spoon into a large bowl and set aside to cool. 5. Whip the remaining 1 cup heavy cream with an electric mixer until it reaches stiff peaks. Using a large spatula, fold the whipped cream into the cooled chicken liver puree. 6. Spoon the mixture into ramekins or a pâté crock. Chill the mousse completely in the refrigerator for at least 4 to 6 hours before serving.